So gorgeous, Sylvie! I wouldn't throw these away after I opened the pressie! I'm with Mary J on these Sylvie, I would definitely keep these just to look at! They are so pretty! These are gorgeous tags Sylvie - all beautifully designed. I really must start making some Xmas cards myself. Great tags....almost too nice to use! A great set of tags, Sylvie. I especially like the reindeer one. Very pretty tags. I especially love the layered stars! 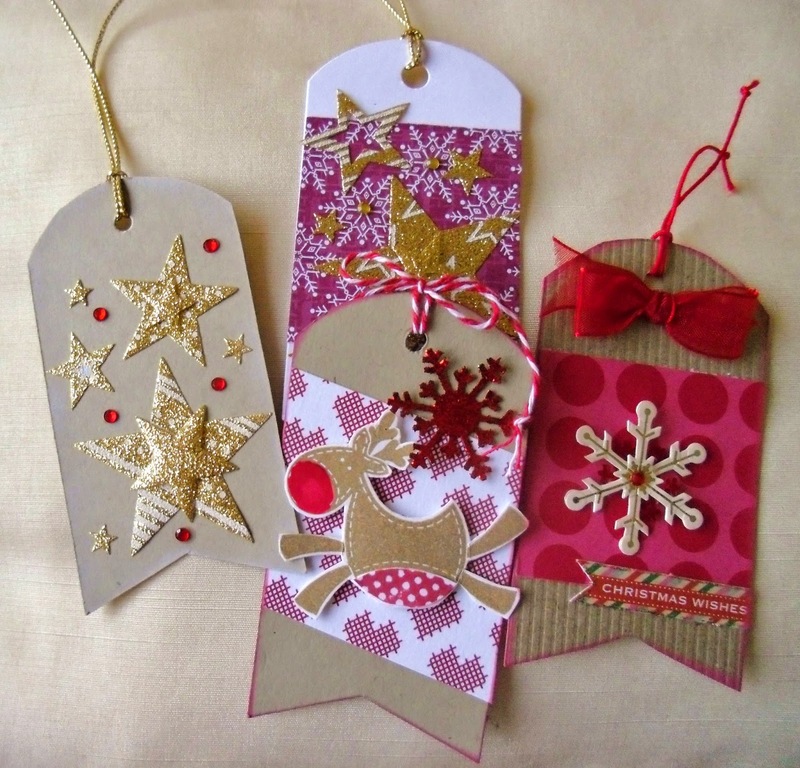 Gorgeous Christmas tags Sylvie. Lovely designs. A lovely selection of tags. Must admit I don't make many of my own and should really. Hugs Mrs a.
Adorable tags, Sylvie. And very useful at Christmas! So sorry I’m late commenting. Have a lovely weekend!